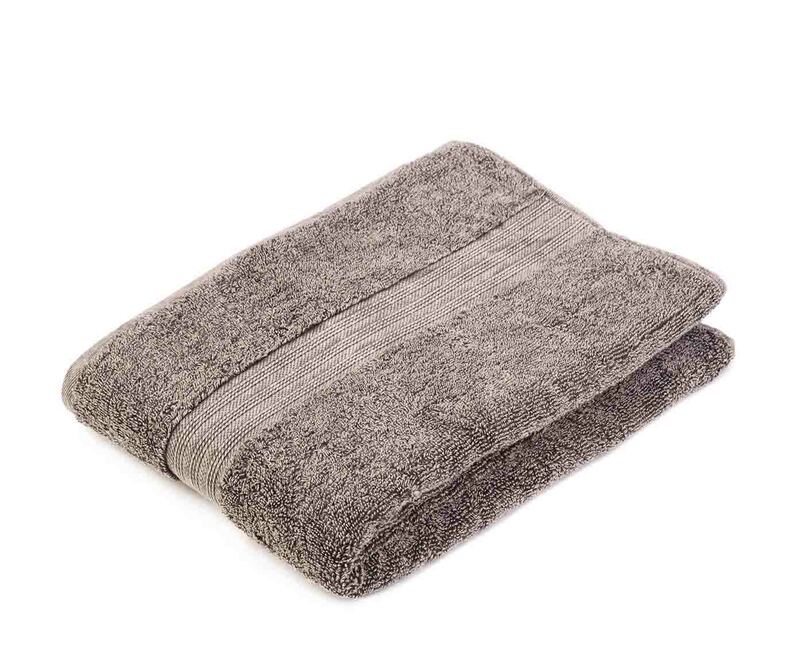 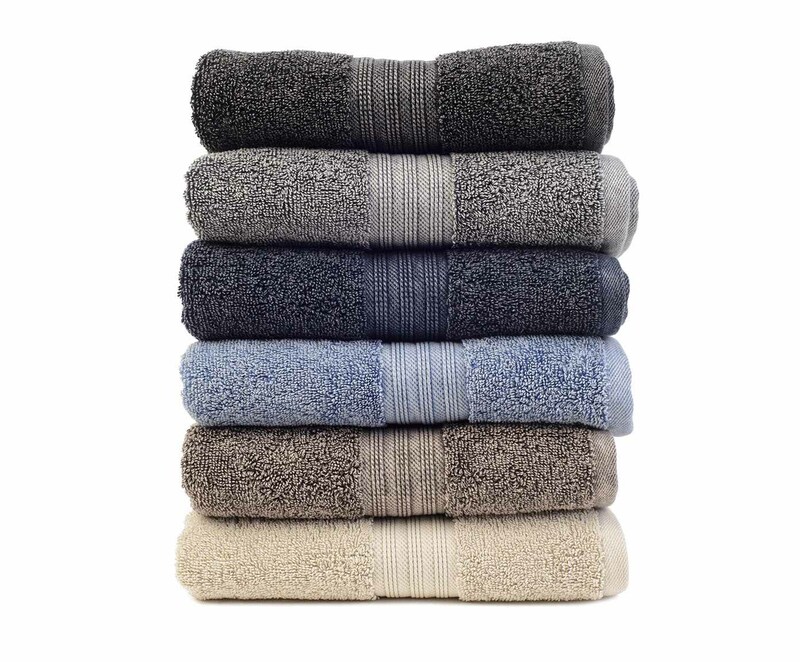 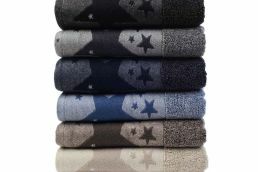 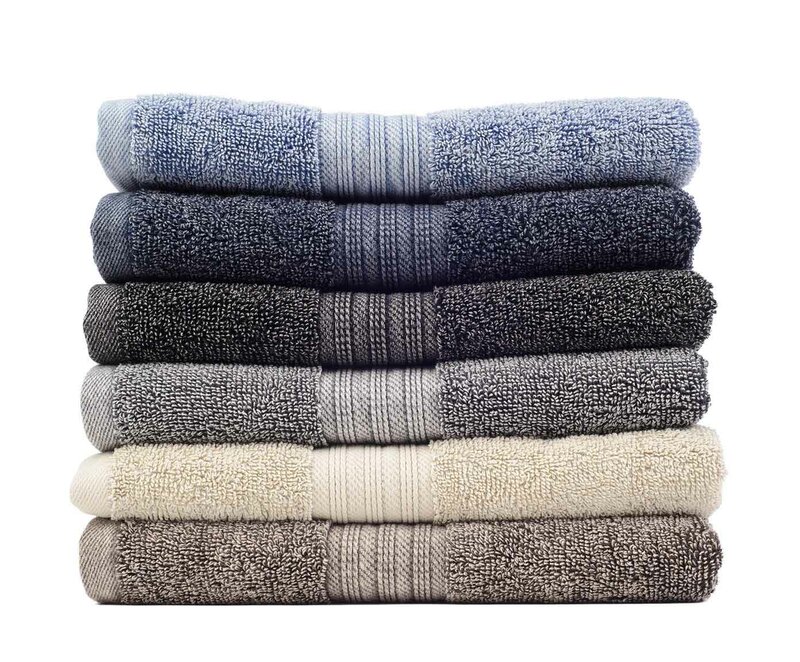 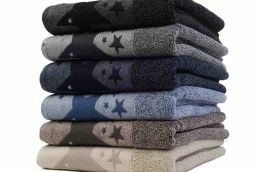 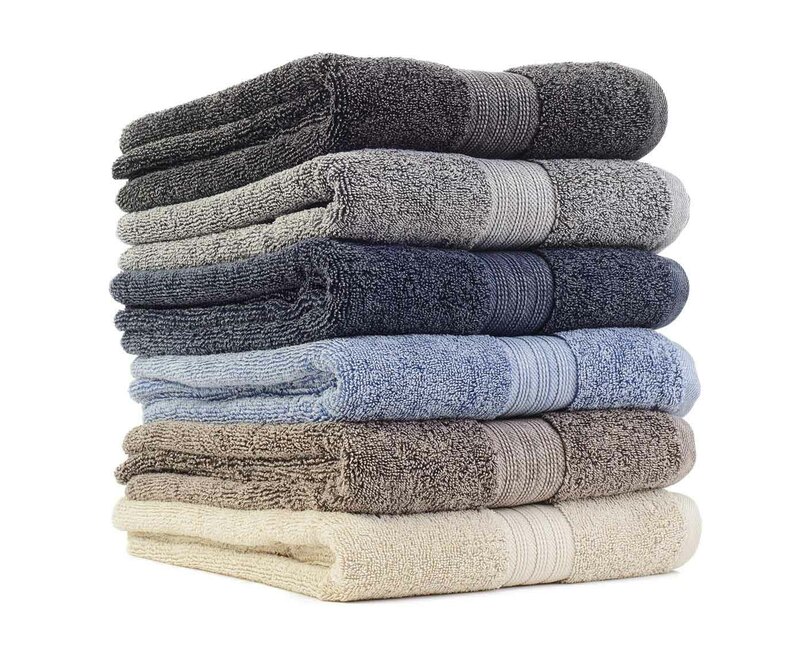 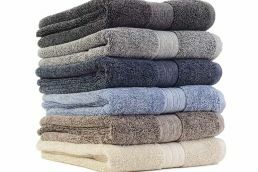 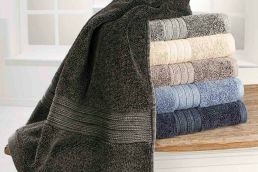 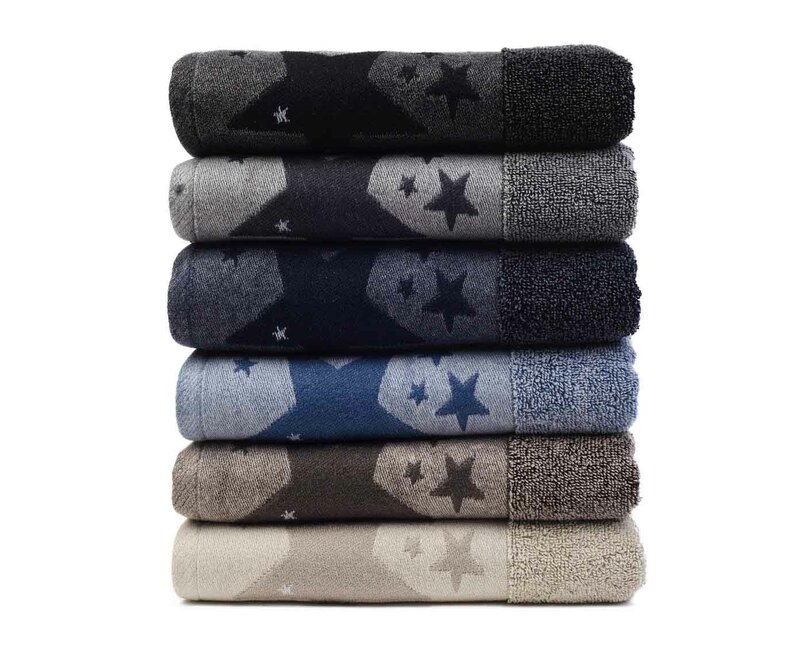 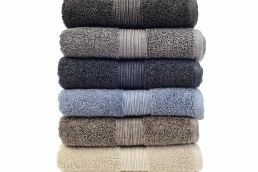 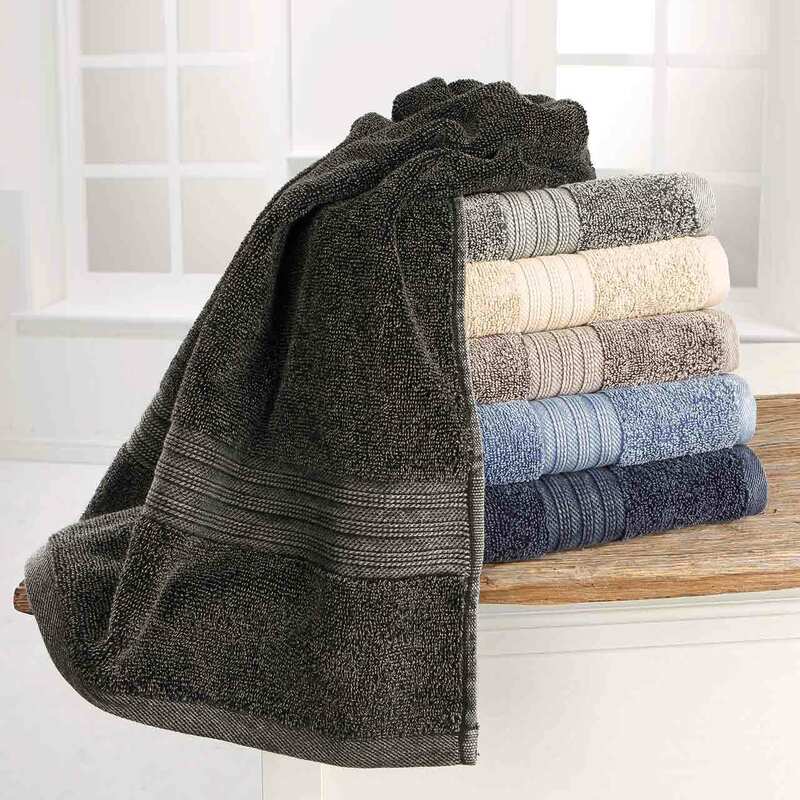 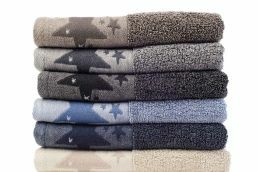 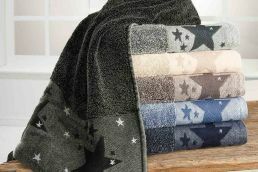 Vintage-inspired terry towel collection available in a range of fashionable colours. 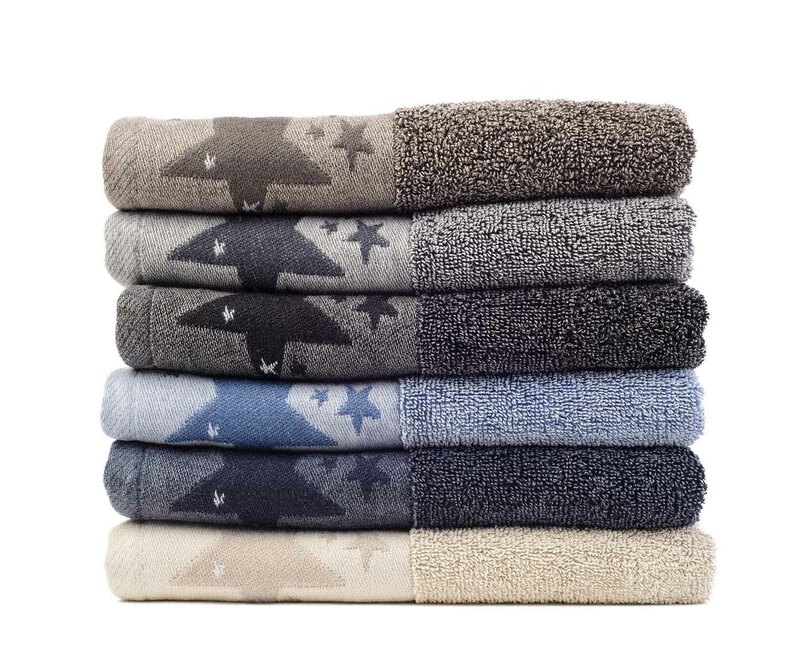 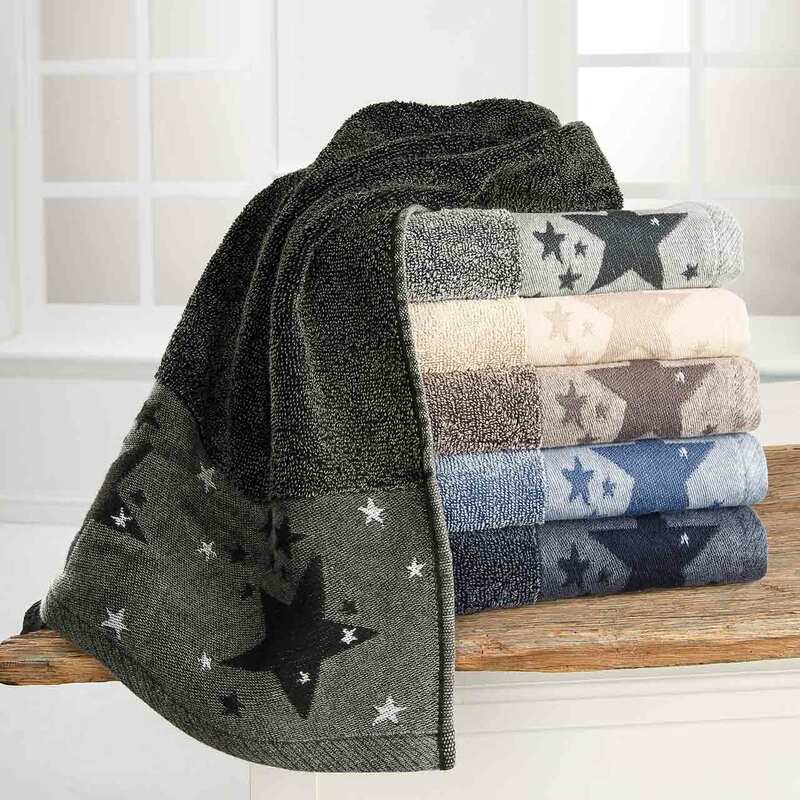 Whether you need an eye-catcher for your bathroom, the beach, sauna or swimming pool, these chic towels invite you to snuggle up and feel good. 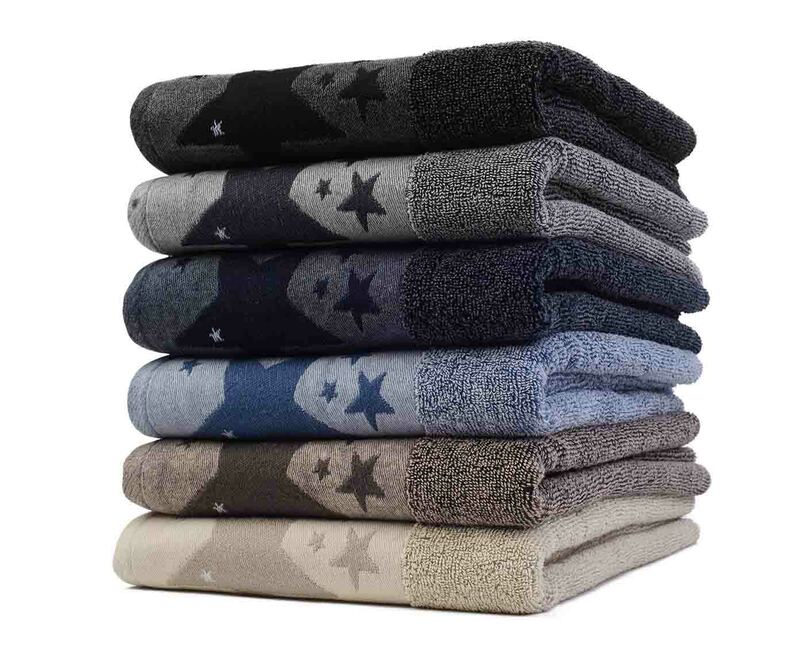 You can choose from two designs: single colour or embroidered with a stylish jacquard star border. Both are high quality terry towels made of 100% cotton. They are available in two sizes: hand towel and bath towel. 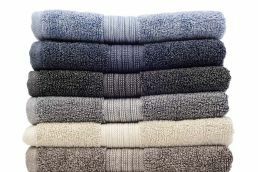 The towels are absolutely easy to clean. 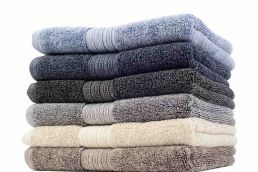 You can wash your beautifully designed towel at 60° C in the washing machine and dry in the dryer. 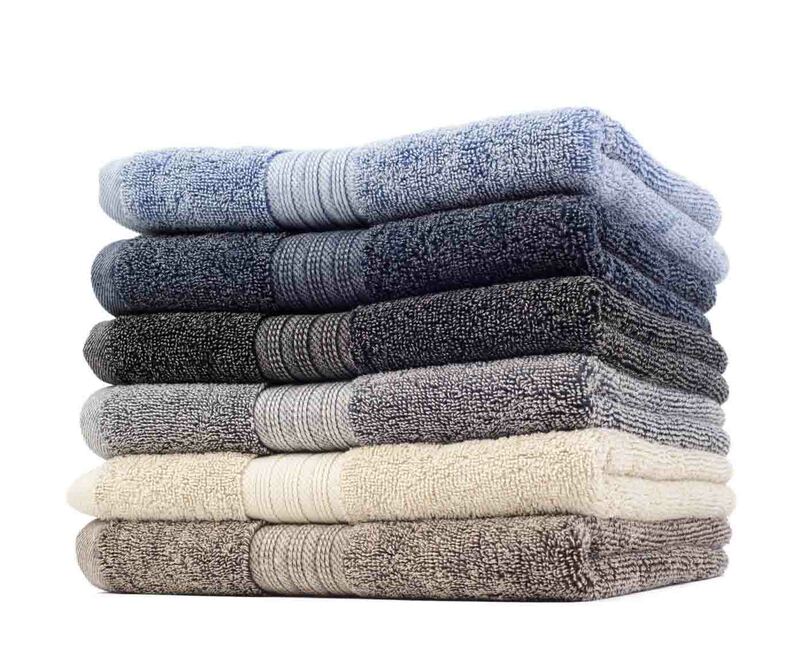 Show your sense of style with one of our stonewashed eye-catchers now available in six colours: cream, light blue, dark blue, brown, silver and anthracite.